The Judiciary Training Institute (JTI) was established in 2008 to provide judicial education for judges and magistrates. Its core function as stipulated in Article 172 of the Constitution is to promote and facilitate the independence and accountability of the Judiciary and the efficient, effective and transparent administration of justice. The National Council on the Administration of Justice (NCAJ) is established under Section 34 of the Judicial Service Act (No. 1 of 2011). It is a high level policy making, implementation and oversight coordinating mechanism as reflected in its membership that is composed of State and Non-State Actors from the justice sector. Its mandate is to ensure a coordinated, efficient, effective and consultative approach in the administration of justice and reform of the justice system. The Judicial Performance Improvement Project (JPIP) supported by the World Bank Group was designed to strengthen the capacity of the Judiciary in providing services in a more effective, transparent and accountable manner. JPIP was conceptualized in 2012 and is being implemented for a six year period ending in 2018. The project was designed to scale up and sustain stakeholder participation in the administration of justice and restore public confidence in the Judiciary. 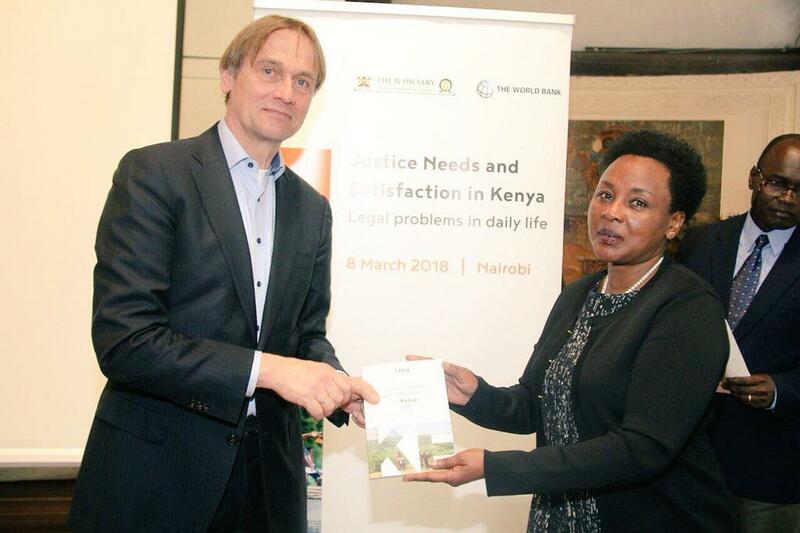 The project is being implemented by the Judiciary and also supports the Office of the Attorney General and The National Council for Law Reporting – (Kenya Law) as justice sector players. The Office of the Attorney General and Department of Justice is established under the Executive Order No.2 of 2013. Further, Article 156 of the Constitution of Kenya 2010 and the Office of the Attorney General Act 2012 set out the Constitutional mandate and functions of the Attorney General. The Attorney General is the Government principal legal advisor, responsible for representing the national Government in court or any other legal proceedings to which the national Government is a party (other than criminal proceedings) and for performing any other functions conferred to the Office by an Act of Parliament or by the President. The Attorney General is also the promoter of the rule of law and defender of the public interest. The Office of the Director of Public Prosecutions (ODPP) is the National Prosecuting Authority in Kenya which has been mandated by the Constitution to prosecute all criminal cases in the country. 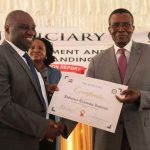 The Director of Public Prosecutions (DPP) is the head of the ODPP and operates independently as stipulated under Article 157 of the Constitution. However, the DPP is required to be accountable to the Public by presenting an annual report to Parliament and the President on the performance of the ODPP. The DPP may also be required, on a need basis to present a report to Parliament on a matter of national or public interest. The Kenya Police is a national body in charge of law enforcement in Kenya. While organized at a national level, each arm reports to a County police authority, which in turn divides its force by local Police Divisions, headquartered at local police stations. All these element report to a National Kenya Police Headquarters in Nairobi, and several specialist elements, such as the Kenya Police College, are commanded directly from here. An Administration Police Service is commanded through a hierarchy separate from that of the National Kenya Police. The International Development Law Organization (IDLO) is an intergovernmental organization with a mandate to advance law and development. IDLO provides technical assistance and capacity development to enable governments and empower people to reform laws and strengthen institutions to promote peace, justice, sustainable development and economic opportunity. The National Council for Law Reporting – Kenya (NCLR), is a semi-autonomous state corporation in the Judiciary, established under the National Council for Law Reporting Act (Act No. 11 of 1994). It is responsible for monitoring and reporting on the development of Kenya’s jurisprudence through the publication of the Kenya Law Reports; revising, consolidating and publishing the Laws of Kenya; and, undertaking such other related publications and performing such other functions as may be conferred by law. The Kenya Prisons Service is a Department in the Ministry of Interior and Coordination of National Government. It contributes to public safety and security by ensuring there is safe custody of all persons who are lawfully committed to prison facilities, as well as facilitating the rehabilitation of custodial sentenced offenders for community reintegration. It is a critical component of the Criminal Justice System which has the greatest impact on people’s liberties and freedom, particularly those who are in conflict with the law.